Executive Director: Applicants who have completed Bachelor of Mining Engineering from a University / recognized Institution and possessing First Class Mines Manager Certificate of Competency or equivalent from a recognized Institute for UCIL Recruitment 2018. General Manager: Applicants who have completed Bachelor of Mining Engineering from a University/recognized Institution and possessing First Class Mines Manager Certificate of Competency or equivalent from a recognized Institute for UCIL Recruitment 2018. DGM: Applicants who have completed a Degree in Law, Post Graduate qualification in Commercial Laws and/or Labour Laws will be an added qualification or equivalent from a recognized Institute for UCIL Recruitment 2018. Chief Supdt: Applicants who have completed Degree in Mining Engg or equivalent. Adequate computer knowledge and exposure to latest mining software is essential/ Metallurgical Engg./ M.Sc. in Mineral Processing or equivalent from a recognized Institute for UCIL Recruitment 2018. Manager(Personnel): Applicants who have completed Degree in any discipline including that in Engineering and two years full-time PG Degree/ Diploma recognized by statutory authority/Central/State Govt. in Personnel Management, Labour/ Social Welfare, IR, Social work, Social behavioral science, Training or equivalent from a recognized Institute for UCIL Recruitment 2018. Manager(Accounts): Applicants who have completed CA or ICWA or MBA Finance. Minimum 12/09 years post qualification experience in the Accounts Department of a PSU/large concerns preferably in mining & processing industry or equivalent from a recognized Institute for UCIL Recruitment 2018. Superintendent: Applicants who have completed PG Degree in Geology/Applied Geology from a recognized University/Institution or equivalent from a recognized Institute for UCIL Recruitment 2018. Addl.Supdt.(Env. Engg): Applicants who have completed a Degree in Environmental Engg. 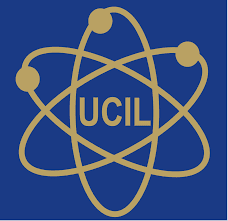 OR Degree in any other Branch of Engg or equivalent from a recognized Institute for UCIL Recruitment 2018. Addl.Supdt. (Civil): Applicants who have completed Degree in Civil Engg. or equivalent. Minimum 09/06 years post qualification working experience preferably in structural designing of industrial buildings/structures, dams as well as drawing up contracts or equivalent from a recognized Institute for UCIL Recruitment 2018. Eligible & Interested Applicants can download the Notification & Application form on the Official website page at www.ucil.gov.in UCIL Recruitment 2018.